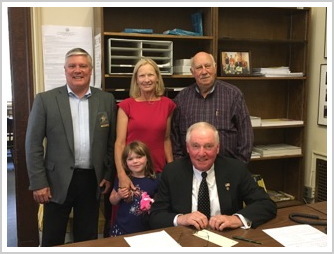 I was honored to have former Executive Councilor Ray Wieczorek, Merrimack County Sheriff Scott Hilliard, my wife Sandra, and granddaughter Miss Maeve Margret join me the day I filed to run for Executive Council District 4 in 2016. Now in 2018, I will be filing to run for Executive Council District 4 once again. I know the necessary qualities to be an effective and accountable Councilor. Among these qualities are a background of experience, a temperament to listen, and the conservative credentials to keep the administrative affairs of our state in check. I realize as a candidate for Executive Council for District 4, I must and do possesses all of these qualities. I am a no-nonsense, say-it-like-it-is individual who wants to see our government be more accountable, transparent, and taxpayer friendly. I do this with over 27 years of executive experience in which I helped save ratepayers $14 billion through honest and efficient budgeting. I also have the temperament to listen and lead. Leadership and constituent service comes from a foundation of life experience. My life experience comes not just from the various work positions I have held but from my Service to this great Nation in the US Navy, (Vietnam Veteran), and the devotion to my wife and family of six children and ten grandchildren. I believe this intangible experience helps build the character and conviction needed to be a successful public servant. Please vote in your Republican primary on September 11, 2018. For updates on the campaign, upcoming events, please join our mailing list! Jim is a retired Postal Executive, and the only person in the 236-year history of the Postal Service to start as a Letter Carrier in Manchester NH and go on to become the Chief Of Staff for three Postmaster Generals. Jim ended his career as the District Manager of NH, Maine, and Vermont. 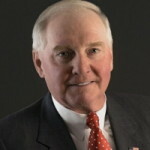 Jim is a past Chairman of the Granite State Taxpayers and is the current Chairman of the Board of the State Veterans Council and member of the Pittsfield Selectboard.